Event alert: Ahoy Mateys! 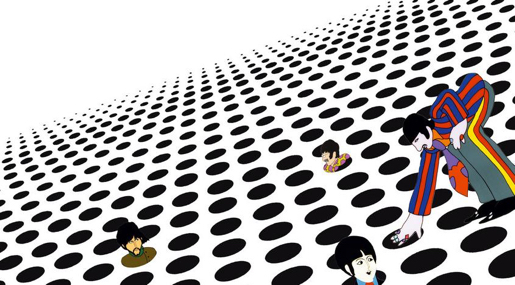 Yellow Submarine 50th Screenings. 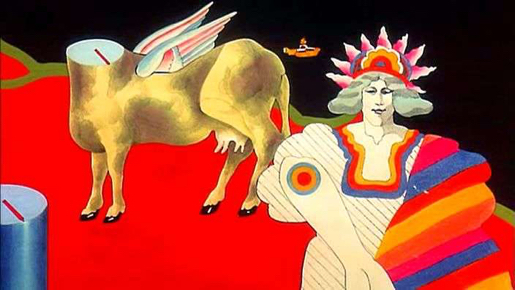 "Once upon a time... or maybe twice..." there was a film that wove Beatles music and mythology with 1960s psychedelic design into an imaginative, animated masterpiece called Yellow Submarine (1968). 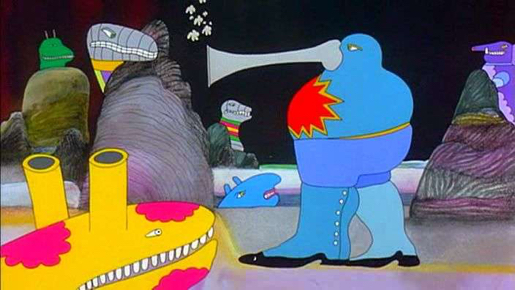 The movie centers around the Beatles, who travel in a yellow submarine to use music to save the people of Pepperland from the nasty Blue Meanies. One of my all-time favorite films, I even recorded a cassette from the TV as a kid so I could listen to my own audio version of the story. 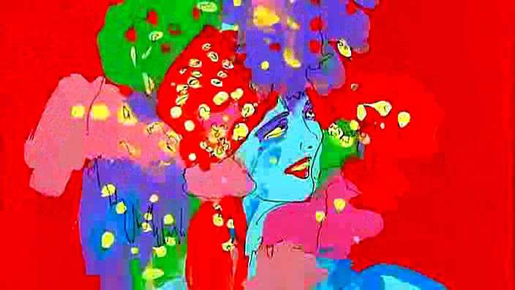 Animation fans might enjoy the contrast between the dark, photo-collage style of the Liverpool sequence, where the saga begins with Elenor Rigby, and the brilliantly surreal cel animation of the Fab's journey through exotic environments to Pepperland (see sample images below). Now the film is scheduled to set sail once again into theaters for a special 50th anniversary event! See below for a new message from The Beatles. 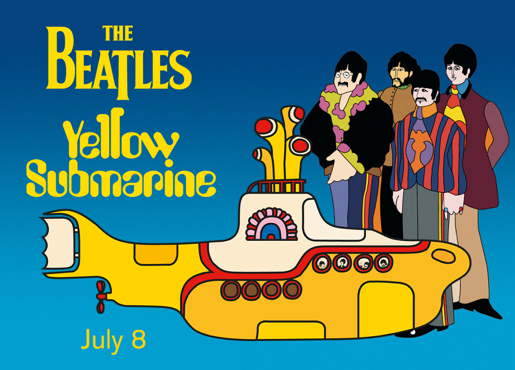 "TO CELEBRATE ITS 50TH ANNIVERSARY, THE BEATLES YELLOW SUBMARINE WILL BE RETURNING TO THE BIG SCREEN ON SUNDAY 8 JULY FOR A VERY SPECIAL CINEMA EVENT. BASED ON THE SONG BY JOHN LENNON & PAUL MCCARTNEY. FEATURING JOHN LENNON, PAUL MCCARTNEY, GEORGE HARRISON AND RINGO STARR. DIRECTED BY GEORGE DUNNING." More below. 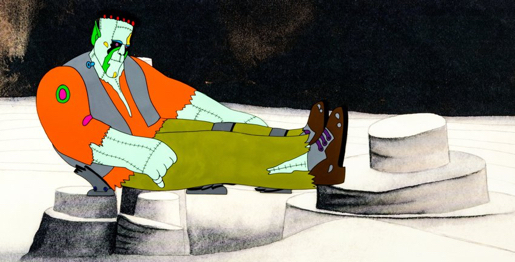 "Picturehouse Entertainment are thrilled to announce the blues-banishing news that The Beatles’ legendary animated hit film YELLOW SUBMARINE is returning to cinemas across the UK and Ireland on 8 July 2018. 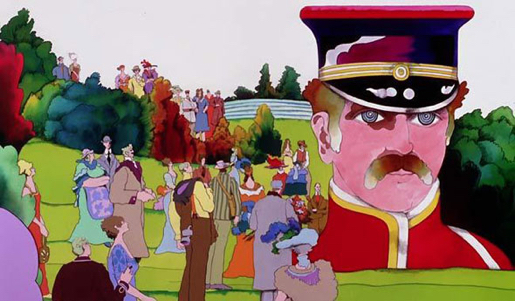 An unmissable cinema event, this momentous big-screen revival will give generations of audiences the golden opportunity to revisit Pepperland for the 50th anniversary of the film’s original release. 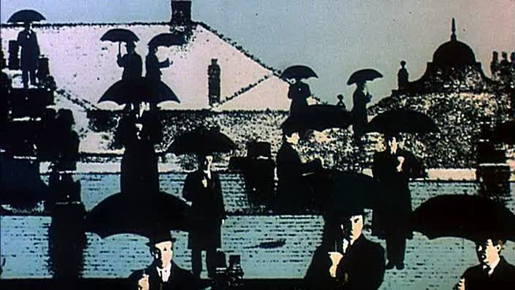 The visionary feature film designed by the great art director Heinz Edelmann can now be experienced in glorious surround sound with the groundbreaking animation presented in stunningly-remastered 4k. Looking and sounding better than ever before, join John, Paul, George and Ringo on the technicolour adventure of a lifetime. 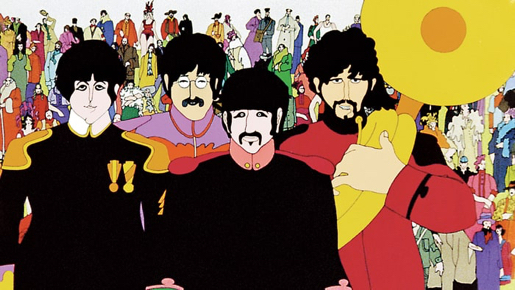 Illustrated with mind-bending moving images, YELLOW SUBMARINE tells the story of how The Beatles battle the music-hating Blue Meanies armed only with the power of love. 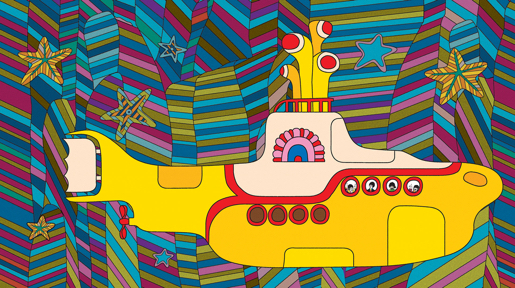 From Lucy In The Sky With Diamonds to Nowhere Man, and Eleanor Rigby to All You Need Is Love, YELLOW SUBMARINE features some of the most-loved songs from the greatest band the world has ever known. 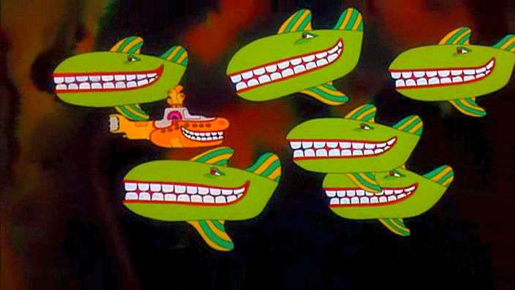 An exuberant fusion of music, film and art, YELLOW SUBMARINE is a landmark cinematic experience that is as fun and vibrant as it was in 1968." Ticket and theater info will be posted on April 17th. 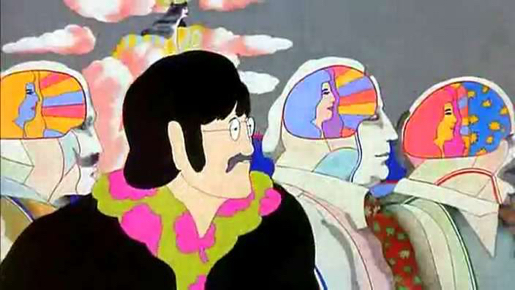 Learn more about the film at the Yellow Submarine website. Enjoy! Selected Spy Vibe Posts: Spy Vibe Radio: Danger Diabolik, Dr. No 60th, Oy-Oy-Seven, Spy Vibe Radio (UFO), Cold War Comic Strips, Thunderball Event, Mission to India, Mort Walker Celebration, Peter Wyngarde Celebration, Batman 66 Exhibit, Prisoner Fifty Event, Ian Fleming Publications 2017-2018, Interview: Ed Hulse Pulp, Avengers Audio Drama, Interview: Callan At 50, Interview: Playboys, Spies, Private Eyes, TWA Returns, Spy Vibe Radio 8, Interview: Ryan Heshka, Mid-Century Modern Schulz, Agent Werewolf, Mata Hair Exhibit, Johnny Sokko 50th, Interview: Trina Robbins, Eddie Izzard, The Prisoner Capt Scarlet 50th, Hugh Hefner R.I.P., Jack Good R.I.P., Interview: Shaken Not Stirred, Callan 50th, Spy Vibe Radio 7, The Prisoner 50th Event, Spy-Fi Event, Kaho Aso 007, Two Million, Bo Diddley, Carnaby Pop, Le Carre Events, Billy Bragg Skiffle, Elvis 68, Jack Kirby The Prisoner, Casino Royale Concert, Review: The Prisoner Vol 2, Interview: The Prisoner Essential Guide, Maud Russell Mottisfont, Spy Vibe Radio 4, Batman Gallants, Adam West R.I.P., Village Triangle, Roger Moore R.I.P., Spy Vibe Radio 3, Sgt Pepper 50th, Satanik Kriminal OST, 60s Overdrive, Make Love in London, Spy Vibe Radio 2, Spy Vibe Radio 1, James Bond Strips, Propaganda Mabuse, Interview: Police Surgeon, XTC Avengers, 1966 Pep Spies, Batman Book Interview, Exclusive Fleming Interview, Avengers Comic Strips, Robert Vaughn RIP, UNCLE Fashions, Thunderbirds Are Pop!, Interview: Spy Film Guide, Lost Avengers Found, The Callan File, Mission Impossible 50th, Green Hornet 50th, Star Trek 50th, Portmeirion Photography 1, Filming the Prisoner, Gaiman McGinnins Project, Ian Fleming Grave, Revolver at 50, Karen Romanko Interview, Mod Tales 2, Umbrella Man: Patrick Macnee, New Beatles Film, The Curious Camera, Esterel Fashion 1966, Exclusive Ian Ogilvy Interview, 007 Tribute Covers, The Phantom Avon novels return, Ian Fleming Festival, Argoman Design, Sylvia Anderson R.I.P., Ken Adam R.I.P., George Martin R.I.P., The New Avengers Comics, The Phantom at 80, 007 Manga, Avengerworld Book, Diana Rigg Auto Show, The Prisoner Audio Drama Review. This is one of my favourites, since I was a kid! Too bad they're not showing it in the U.S. since, according to the article, it seems they're only showing it in the U.K. and Ireland. Groovy pictures, though! Actually I just checked the site and it said it would be screening throughout the U.S. and Canada as well! Groovy! Great!! Can't wait to see it again on the big screen!